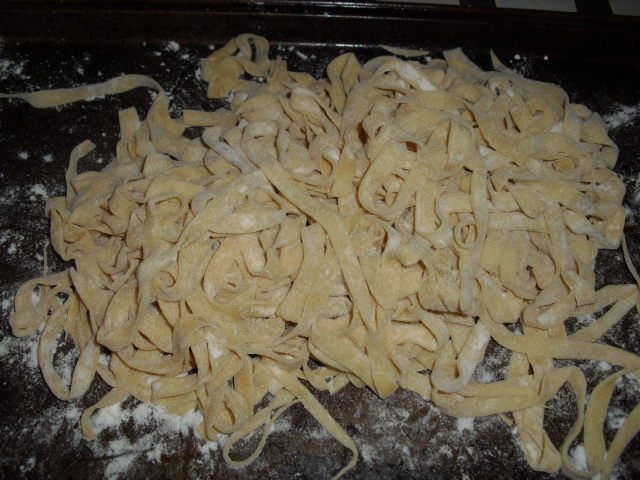 Easy, fast, delicious fresh pasta. I admit, the dried in the box is convenient and a staple in my pantry, but if you have the time, try making your own. 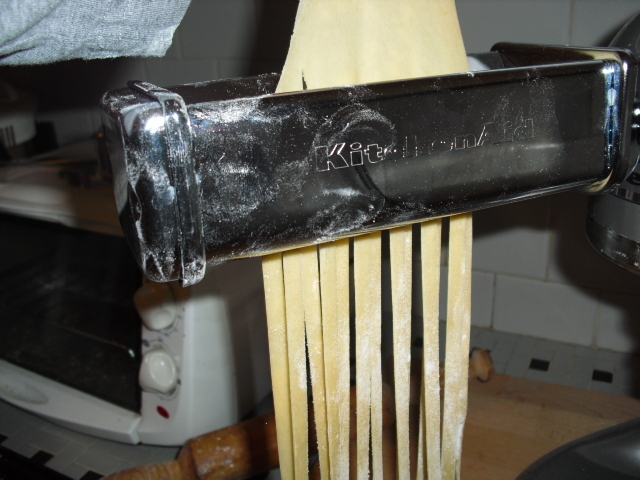 If you don’t have a pasta attachment for your stand mixer you can purchase a hand crank version, like this one for around $35. 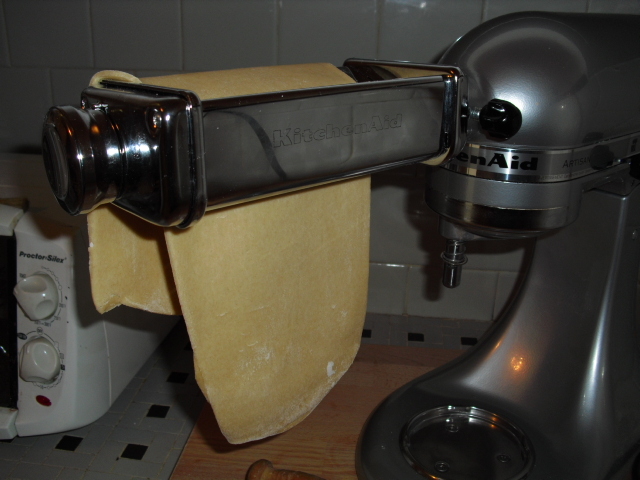 There are several methods to making pasta dough, the well method, you can also make it in your stand mixer using the paddle attachment, I have found using the food processor works well and only requires a little kneading afterward. and elastic, about 8 minutes.Wrap in plastic and let rest for 30 minutes or store in the refridgerator for up to 2 days tight;y wrapped. 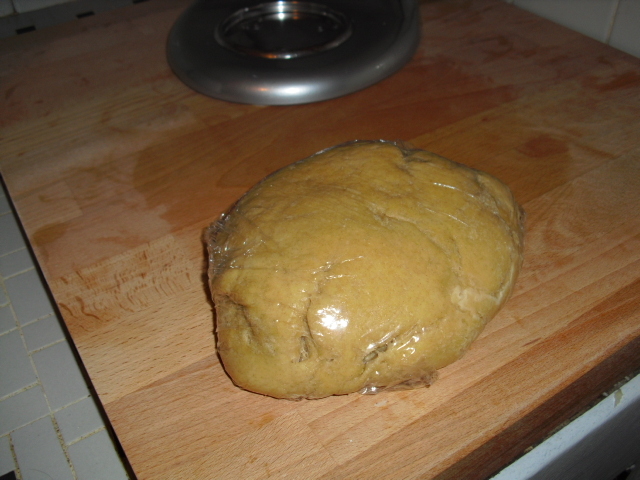 When you decide to use it let the dough come up to room temperature for about 30-45 minutes before rolling it out. 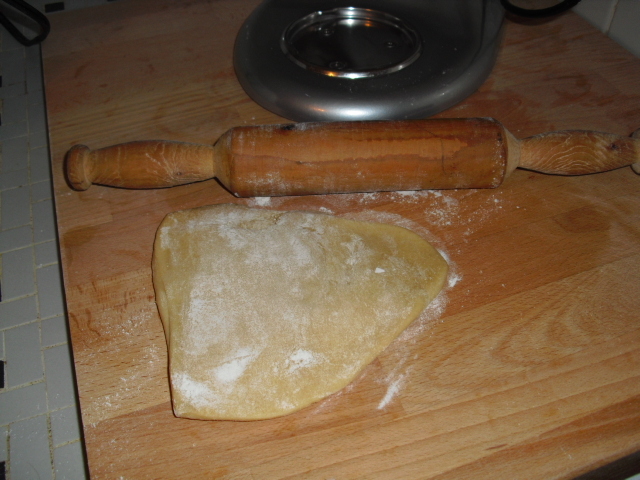 Cut the dough into section, rolling it out first with a rolling pin. hang over edge of work surface. Roll out remaining dough in same manner. 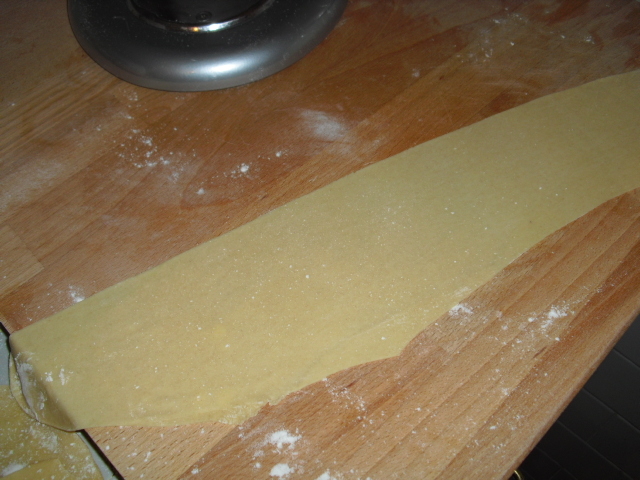 Switching to the desired cutter attachment ( I used fettuccine) feed each sheet through. Once cut, toss with a bit of flour to keep from sticking. At this point you can lay it out to dry, place in an airtight container with a dry towel on the bottom to store short term, freeze or use immediately. To cook pot of water to a boil, add salt then pasta and cook, stirring gently with a wooden spon for approximatley 3 minutes. Toss with your favorite sauce, this time i used sauteed mushrooms and spinach with a little bit of cream and Parmesan cheese.